Samuel White Baker was an English naturalist, big game hunter, explorer and was the first Englishman to sit in a high office of the Egyptian government. Many of Baker’s works shed light on the horrors of slave owners and slave trade in central Africa. His works; however, also centralized on Egypt and the Abyssinia Nile tributaries. He had an extensive knowledge of Egypt as he held important political officers in Egypt. His accounts of Egypt and the Nile River Basin are some of the most important 19th-century books on the Nile River, and helped record the discovery of Lake Albert. 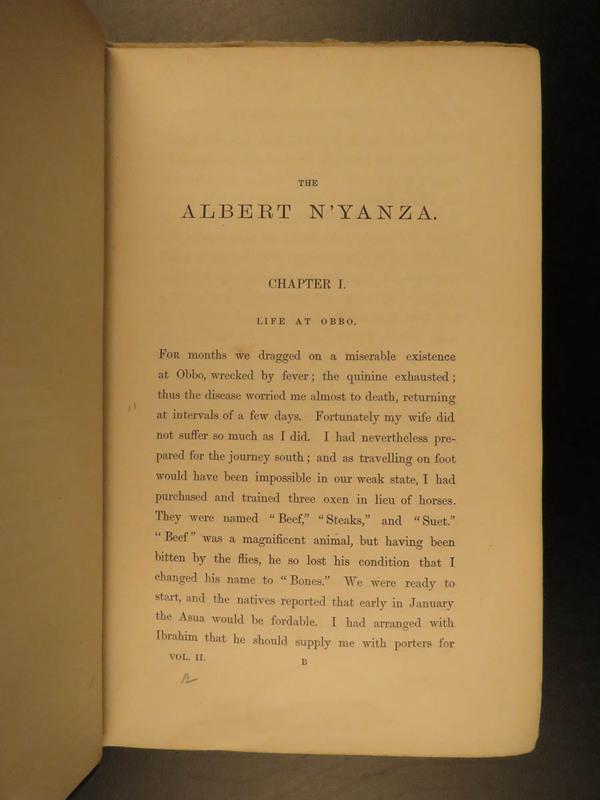 ‘The Albert N’yanza, Great Basin of the Nile’ is Baker’s account of his discovery of the last great source of the Nile. London: Macmillan et Co, 1866. First Edition.